Taliban commander Mullah Nazir has been killed in a United States drone strike in South Waziristan agency. Nazir, a 'good Taliban' commander, was reportedly killed along with six other terrorists when they were moving from the Birmal area to Wana, the headquarters of South Waziristan agency when his vehicle was targeted at Sarakanda. Commander Rifa Khan was also killed during the attack. According to BBC Urdu, the political administration has confirmed the killing of Nazir in a drone strike. Confirming the killing of Nazir, Ghulam Khan Wazir, a local from Wana, told rediff.com, "The funeral of Mullah Nazir and his companions was held at a ground near Azam Warsak. An estimated 10, 000 people offered the prayer. Wana bazaar is also closed while mourning the death of the commander." Another tribesman Gulaab Din Wazir told rediff.com, "Taliban Shura after the funeral designated Bahawal Khan Wazir aka Ayoubi as replacement of Mullah Nazir while Taj Muhammad Wazir was made as his deputy." No detail is available about Bahawal Khan Wazir. The Taliban, however, has neither confirmed nor denied the report of Nazir's death. Nazir headed terrorists representing the Wazir tribe. In his mid-forties, he belonged to the Kakakhail sub-tribe of Wazir. He held a dual nationality of Afghanistan and Pakistan and until 2010 owned property in Kandahar, Afghanistan. He reportedly sent his men across the border to fight in the southern provinces of Afghanistan like Paktika, Zabul, Helmand and Kandahar against the North Atlantic Treaty Organisation-led forces. 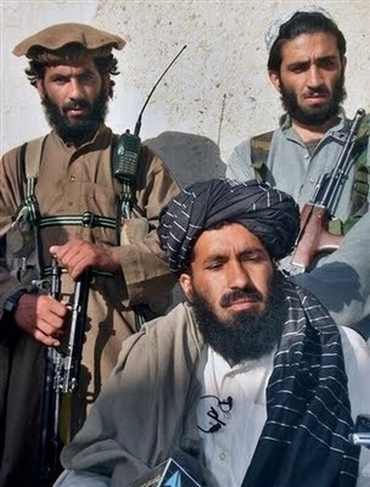 During the Russian occupation of Afghanistan, Nazir crossed over to wage 'jihad' against the troops and stayed put there until the fall of the Taliban government in 2001. After returning from Afghanistan, he joined hands with local militants like slain Naik Muhammad, Haji Omer (slain), Muhammad Sharif and Abdul Aziz, accused of providing support to the Al Qaeda. Nazir surfaced only when Naik Muhammad signed a peace agreement with the government of Pakistan in 2004. Shortly after the agreement, Naik Muhammad was killed in the first-ever drone strike in Pakistan. Haji Omer was named as the head of Taliban in Wana and its surrounding areas but he could not take control and there was infighting among Taliban commanders. Under these circumstances, the Taliban named Nazir as the head in late 2006 and he restored peace in the region. Nazir banned the Taliban splinter groups and asked foreigners, especially the Uzbeks, to leave. Haji Omer and his brother Maulvi Abbas, who had good relations with Uzbeks militants, opposed the decision, but did not succeed in convincing Nazir to review it. In March 2007, Nazir led Ahmadzai Wazir lashkars to oust Uzbek militants from Wana and its surrounding areas. Around 160 foreign militants, mostly Uzbeks, were killed in the fight and the remaining including their local sympathisers were forced to leave the area. Nazir was not on good terms with the slain Baitullah Mehsud, the founding commander of Tehrik-e-Taliban Pakistan. When Nazir ousted the Uzbek militants, Mehsud not only warmly welcomed Uzbeks in his area but also supported them later to attack Wazir Taliban offices in Shakai and Wana. They killed Haji Khanan, the then deputy of Nazir. In 2009, Nazir made truce with Mehsud, but the relations between two soured again. During an interview in 2011, Nazir said his relations with Uzbek militants have also improved especially after their commander Tahir Yuldashev's death in 2009. On November 29, 2012, Nazir received serious injuries in a suicide attack at Wana and sources said the suicide bomber was an Uzbek militant. Nazir had survived a drone strike in 2008 but was not so lucky four years later.